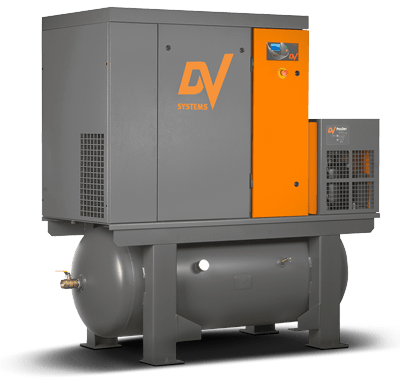 The G SDV G-Series G20 / G30 Rotary Screw Air Compressor offers heavy-duty, high-performance while still delivering high-efficiency. These compressor functions at a 100% duty cycle making it well suited for continuous-use applications requiring dependable, dry, clean air. The leading-edge component integration incorporated into the system results in both a compact and quiet air system. The G Series G20 to G30 delivers high-capacity air capability while maintaining stable system pressure, all within a small installation space requirement. The Advanced CSC 300 Control Solution features optional sequencing of up to eight compressors, maximizing system operation. Silent operation – the encased rotary screw design minimizes noise improving the work environment. cubic feet per minute at 120 PSI. 25 HP 100 Standard cubic feet per minute at 145 PSI. 30 HP 116 Standard cubic feet per minute at 145 PSI. DV offers a remote starter package for your rotary screw air compressor. This unit allows for monitoring and remote operation of the unit by utilizing the remote panel. By making use of a keyed switch operation both safety and security are delivered to aid in the management of your air compressor. The unit is both waterproof and dustproof. 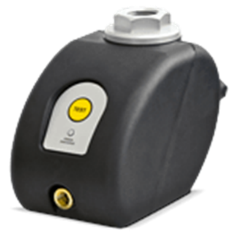 Electronic draining removes any potential condensation from the tank on a routine basis,which helps to ensure that the system continues to run at peak efficiency. 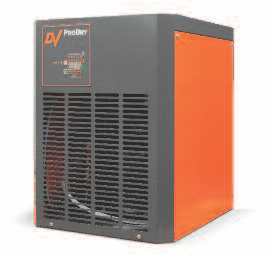 Boost your systems air quality and productivity by incorporating a refrigerated air dryer. The DV Air Dryer Package contains brackets, an air filter canister, a 1 Micron filter and adapters to attach the air dryer. SFP offers tools, accessories, and installation in support of their air compressor product line. To learn more about SFP’s air compressors and how they can help you fill out the quick contact form provided at the bottom of the page.